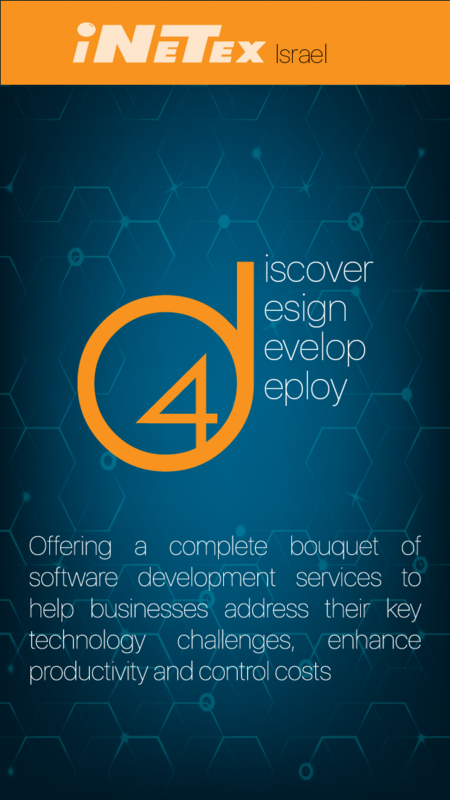 According to our strapline "4D" we will discover, design, develop and deploy software tailored to your specific demands in a way that ultimately meets all your business goals, expectations, and requirements. Check out what you can do with us! 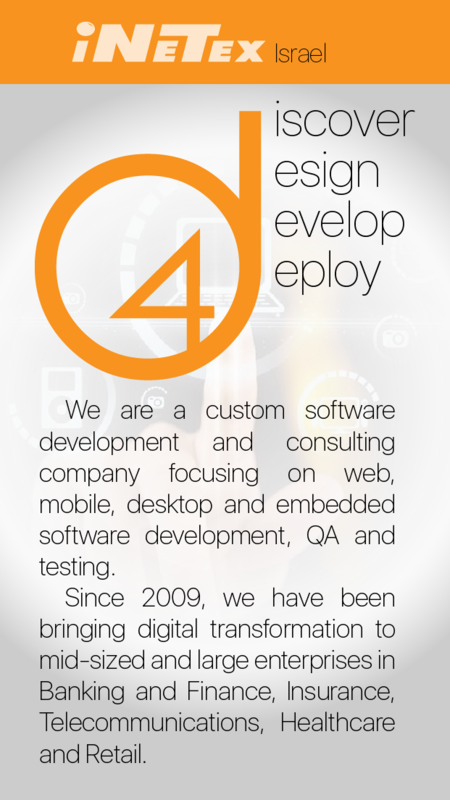 Guiding through the entire path of crucial software development decisions - the best solution for your business. © 2018 Inetex computing solutions LTD. All Rights Reserved.